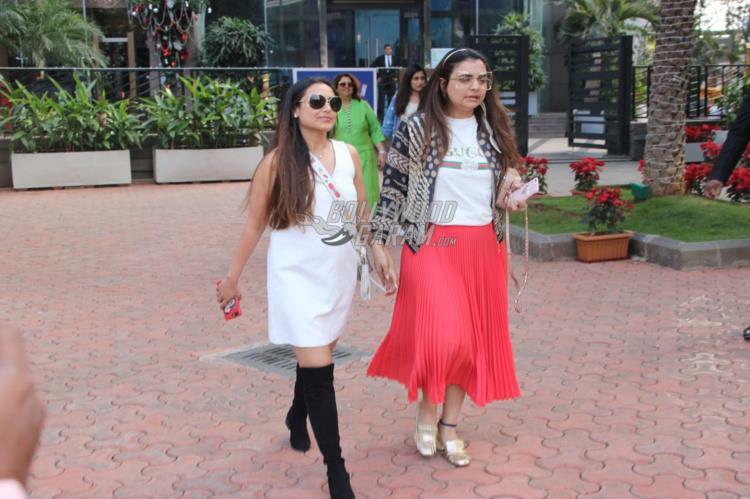 Rani Mukherji is back to the film circuit after a long time. 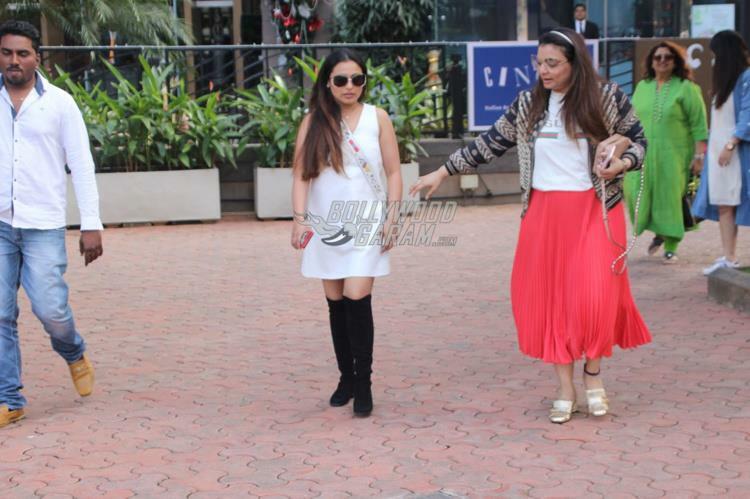 The actress was away from films since her marriage and the maternity break that she had taken for her daughter Adira. 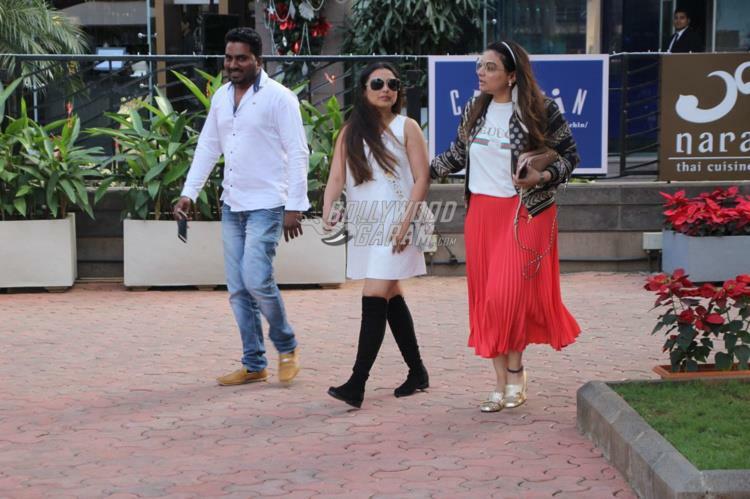 Rani was seen on a casual outing with close friends and choreographer Vaibhavi Merchant at a popular restaurant in Mumbai on December 17, 2017. 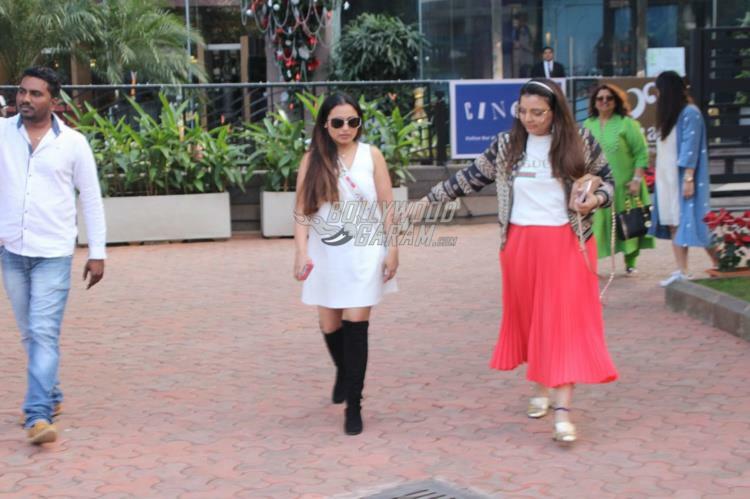 The actress Vaibhavi were seen post a lunch date and were all smiles for the shutterbugs. 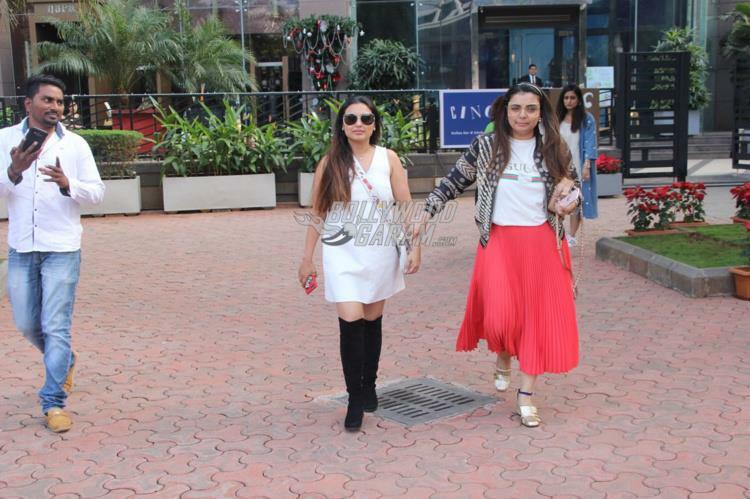 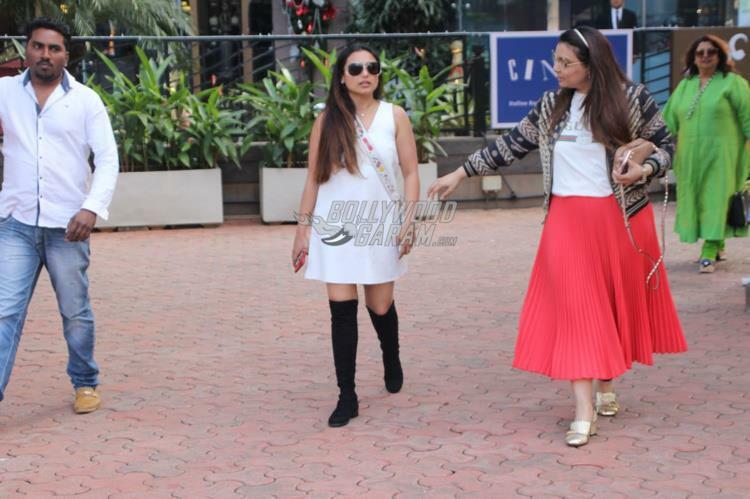 Rani looked pleasant in a white outfit and black long boots while Vaibhavi was seen in a casual orange skirt white t-shirt and a jacket. 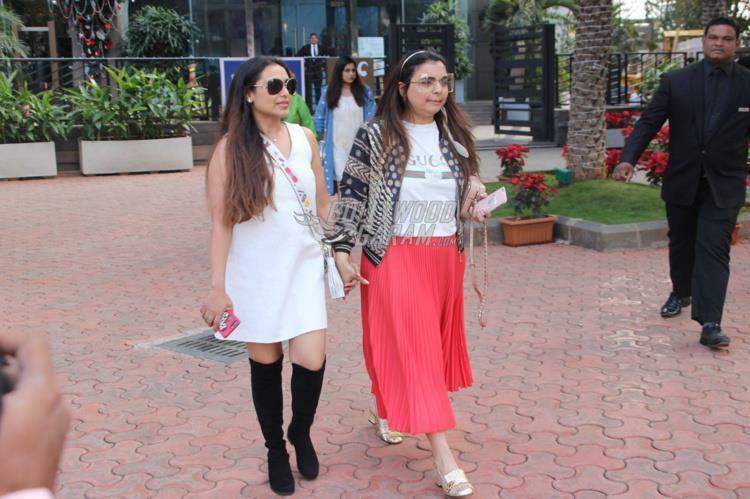 The Ghulam actress will soon be seen in the upcoming film Hichki, which is directed by Siddharth P. Malhotra and produced by Maneesh Sharma under the banner of Yash Raj Films. 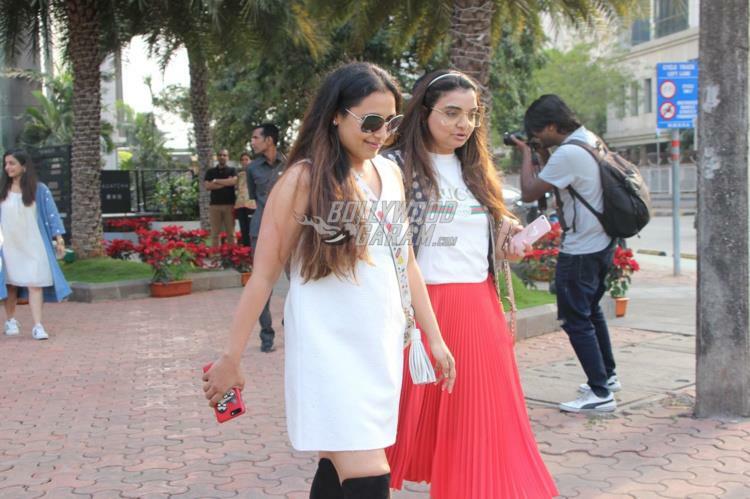 The official announcement of the film was made on February 27, 2017 and is due to be released on February 23, 2018.